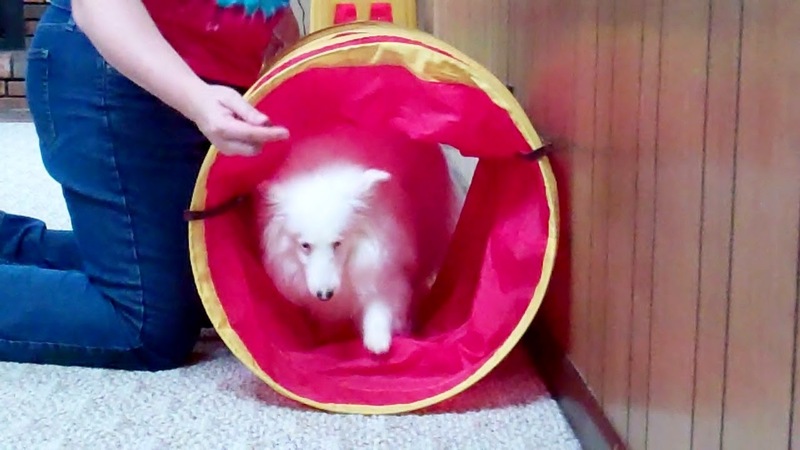 White Dog Blog: Welcome 2015! The start of 2015! So much to look forward to in the coming year! And, we are stuck inside here due to the bitter cold. So, once again, I look for new ways to keep my dogs busy and using their brains. Doing puzzles and learning activities for their meals is always a popular activity. Since my dogs do like to eat, giving them a game to play to get their food and treats stimulates their brains and problem solving abilities. As a matter of fact, my dogs get so much more excited to eat when they see the puzzle games coming out rather than their food bowls. I saw online something called a snuffle mat. There are many different kinds of mat, some are sewn with intricate pockets and closures to hide goodies. Some look like a version of a shag carpet, with high fibers for the treats to fall into and the dog to search and “snuffle” about for. I thought perhaps I could figure out how to make one of these mats myself. I found a plastic sink liner with one inch square holes in it and I cut strips from some old fleece I had in the basement. By tying the fleece strips to the sink liner, I created this snuffle mat. On the left of the mat, you can see some of the sink mat that doesn't have fleece on it yet. Sorry, forgot to take a picture before I started making it. This is very definitely a supervised toy with my dogs. I have one dog in particular that enjoys the game, but if I left him alone with it, he might start to chew off and eat the fleece pieces (he enjoys doing this with his toys). So I am careful to be nearby when they are playing with it, and then I pick it up and put it out of reach until we use it again. Plus, it’s just more fun to play with the toy with my dogs! While we have some of the fancy manufactured dog puzzle games and Kong toys, some of our favorite food toys are from the recycle bin. Of course, these are also always supervised, because most materials from the recycle bin are not dog-teeth safe. An empty and dry water bottle is a fun toy at my house. For the dogs that can hear, the crinkling sound of chomping a bottle is so much fun! For the others, it moves and spins across the floor dumping tasty pieces of treat all over to search and find! Easy enough to dispose of after playtime, and replace the next time! This is a tea bottle, so a bit more sturdy than a water bottle, but any bottle can work. Remove the cap and any plastic rings on the top. Put treats inside - simple! A plastic container can be used to make frosty dog snacks, just watch that your dog isn't trying to eat the plastic part as they chew at the frozen snack. You can easily run the outside of the container under warm water enough to loosen the frozen snack so it pops out and into a bowl for licking if your dog is eating the plastic part. This frosty snack happens to be yogurt mixed with ground meat and frozen. You can use any number of dog-friendly foods to freeze. Some dogs like to lick out a yogurt container that you’re finished with. This can keep them busy for a little bit. Please make sure your dog is OK to have yogurt, and that the yogurt is not flavored with anything that may be harmful to your dog (Xylitol or other sweeteners, for instance). You can also smear a little bit of other foods around the inside of a plastic container – peanut butter, canned pumpkin, and other dog-safe foods. It doesn’t take much to keep your dog busy and too much of a rich food may cause your dog to have an upset tummy. The dogs and I love learning new tricks together! Using their meals for some of our lessons helps to ensure that they aren’t getting too many extra calories. It is winter and they aren’t getting as much running around with us being inside more now. If I gave their regular meals and then lots of treats on top of that, they might get upset tummies, but they would certainly gain weight which wouldn’t be healthy for them. Stay warm and have fun learning new things with your dogs!